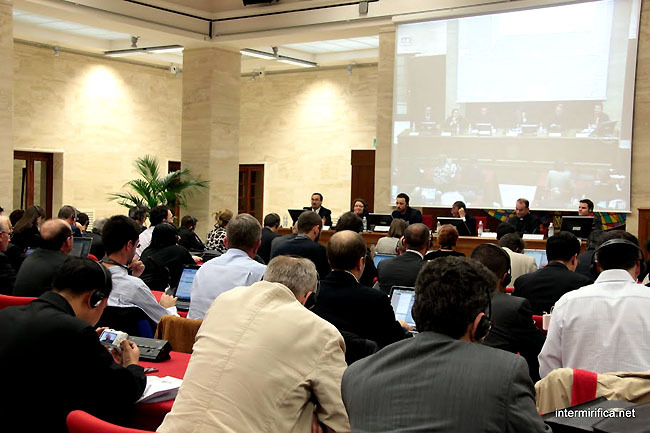 Increasingly aware that it needs to engage positively with the online world, the Vatican is hosting a one-day summit with 150 Catholic bloggers in an effort to reach out to the faith-based blogging community. The effort marks the first time the Vatican has officially engaged with bloggers, and reflect’s the Catholic Church’s realization that it needs to embrace the online world to communicate with the faithful and bring its message to increasingly online generations. More than 750 Catholic bloggers applied to attend the conference; only 150 were selected due to space constraints. According to Monsignor Paul Tighe of the Vatican’s communications office, selections were made first by language groups, then by random lottery. Alternative, informal meetings amongst bloggers who didn’t receive summit invitations were being organized in Rome. The bloggers’ summit corresponded with the beatification of Pope John Paul II, which brought many bloggers to the city. The move to embrace bloggers is an interesting development from the Vatican. Like most online communities, the Catholic blogging world offers a great deal of diversity, spanning not only a wide range of geographies and languages, but also a broad range of interpretations of faith-based blogging. Some Catholic blogs are deeply personal; some could almost be described as political manifestos. The Vatican has repeatedly indicated it has no intention of starting blogs of its own—the informal tone of the blogosphere doesn’t mesh well with the Holy See’s official capacities—but has also indicated it doesn’t intend to exert any influence to organize Catholic bloggers. Any associations or groups formed by the bloggers will be the results of their own efforts. Reaching out to bloggers is just the Vatican’s latest move to reach out to digital generations: the Holy See set up its own Facebook page and has taken its television and radio programming to the Internet via YouTube. The Catholic Church is also encouraging priests to use social networking and Internet technologies to reach out to parishioners and the faithful. There’s even an iPhone app with all the latest news from the Catholic Church…although the church stopped far short of approving confessions via iPhone. There’s no word whether the Vatican might hold future summits—or even (gasp!) hold them online. The Holy See is only not turning on to blogging; IM, video confererencing, and VoIP might be too much to tackle right now.